Experience Counts. Integrity is Essential. James E. Pastore, known as “JP”, was born in East Liverpool, OH, the son of James and Erna Pastore. He is the oldest of three children. JP’s father was a carpenter, and his mother was a butcher and factory worker. He attended Southern Local High School. At the age of 23, Pastore began his first brokerage business, which became the foundation for JPCM. With more than 40 companies and partnerships, more than 1000 employees and sales in the hundreds of millions, JP has built a conglomerate of businesses nationwide. Jim has 5 children, Jamin, Katie, Josh, Kinsey and Jaxon. His wife, Lee Ann Pastore, is also an East Liverpool native. 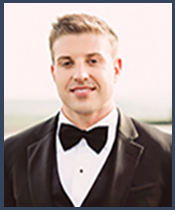 Upon graduating high school, JP began working on his Master’s degree in Martial Arts. This time would prove to be the beginning of a lifetime of sports training and mentoring. While growing his companies, Pastore managed to never miss any of his 5 children’s sporting events. His love for sports fueled his true passion, which is helping children reach their dreams. He has created youth athletic camps for all sports. Through his partnerships with XPE Sports and Ultimate Athletes, Inc., Pastore has helped to facilitate opportunities for numerous local athletes to receive full athletic scholarships. He has helped more than 1000 children pursue athletic scholarships across the United States, and many have gone on to pursue professional sports. Jamin Pastore was appointed President and CEO of JP Capital Management during the entity’s creation in the fall of 2013. Leading up to the forming of JP Capital Management, Jamin spent nearly a decade in manufacturing/recycling. After what began as a summer job at JP Industrial Products in the purchasing department, Jamin would then become entrenched in every division of the company. His eagerness to see the company blossom was manifest in the development and expansion of JP Industrial Products that occurred shortly thereafter. After being promoted to CEO in 2007, JPI expanded nationally, engineering proprietary state-of-the-art production lines and processes to cement the company’s stance as the country’s largest PVC recycler within two years. During that time, Jamin also served on his father’s portfolio strategy team as an analyst and then an executive for many of the family’s past and present mergers and acquisitions. Mr. Pastore is a graduate of Duke University with focus in Economics, Markets & Management, and Sociology. He was a four-year scholarship student/athlete on the football team. He was inducted in the Beaver Local High School Hall of Fame in 2006. He holds many BLHS football records, in addition to receiving 1st team All-Ohio honors as a Quarterback in 2000. Also, he was the first and only athlete from the county to ever be named as a finalist for Ohio’s prestigious “Mr. Football” award. He was valedictorian of his high school class. 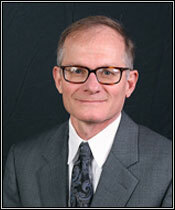 Jonathan (“Jon”) Schoenike, 58, serves as counsel for the group and related entities. Prior to joining the group in May 2014, Jon served as shareholder in the Boardman Ohio law firm of Maro & Schoenike Co. Jon previously served as General Counsel to American Architectural Products Corporation and its subsidiary companies from 1997 through 2007. 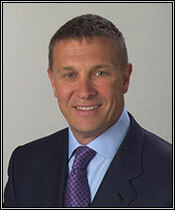 Jon also served as counsel to The Cafaro Company from 1992 through 1997. Jon has extensive experience in negotiating, documenting and consummating business transactions and related financings, construction transactions, environmental law and bankruptcy related matters. Jon lives in Poland, Ohio with his wife and 2 children. At the heart of the JP Capital Management portfolio, lies our commodity brokerage (and related) business holdings. Julie Pastore-Vrable leads group activities to expand market share in this sector. 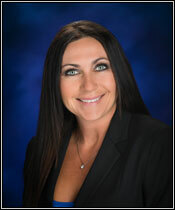 Mrs. Pastore-Vrable brings nearly two decades worth of experience to the team, and has successfully increased sales revenue for our brokerage related businesses each and every year, regardless of market conditions. Julie resides in Highland Beach, FL with her husband and three children. JP Capital Management provides a proven track record of success, operational expertise, synergy opportunities and the will to take immediate action towards success.